RIVER RUSH is part of the Adventurethon Townsville Demolish 2018. This means that all paddlers get a medallion as well as all the fun and activity that comes with Adventurethon. Join the festivities at Pallarenda – food, music and competitions, July 14th and 15th. OFFICIAL PRESENTATIONS will be held at Adventurethon HQ @ 7pm Saturday. There is a $200 cash prize for the first Male and Female Long Course Paddlers (Thanks the Bunderberg Brewed Drinks and The Distributors). The long course starts in the Ross River with an outgoing tide, feel the Rush as you exit the River mouth and aim for an adrenaline assisted ride to Pallarenda beach. FREE Bus transport is available from Pallarenda to the start line as well as the option to put your craft on our FREE trailer transport from Pallarenda. The Kayak trailer will leave Pallarenda at 10am. Kayaks can be loaded on the trailer between 5:30pm Friday 13th and 9:50am Saturday 14th. You will need to provide your own straps and padding (labelled). River Rush takes competitors on roughly an 18km scenic journey from the South Townsville boat ramp and out the Ross river mouth. With the high tide rushing out the river mouth in the hour before the event, there is a Rush of water that propels the paddlers along the river making the top speeds on the river higher than on flat water. At the mouth of the river during this tide change there is often a gnarly section of outgoing tide meeting oncoming swell, which gives a real RUSH for the experienced paddler. 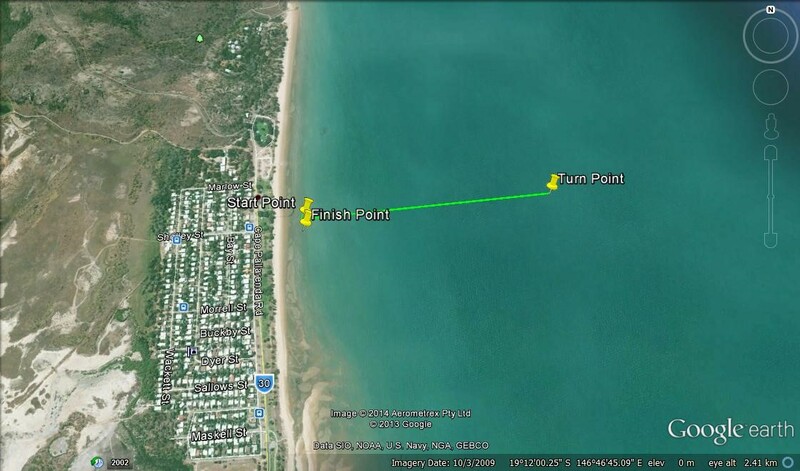 From the River mouth the Turn Buoy will be placed to maximise the best possible downwind run to the finish line. This downwind run should see the watercraft moving faster as they ride the ocean swell and wind chop for the first adrenaline rush of the season! River Rush has been a consistent favourite over the past few years of the Series. The short course is designed to give the competitors a chance to get into the water without having to tackle the longer course. 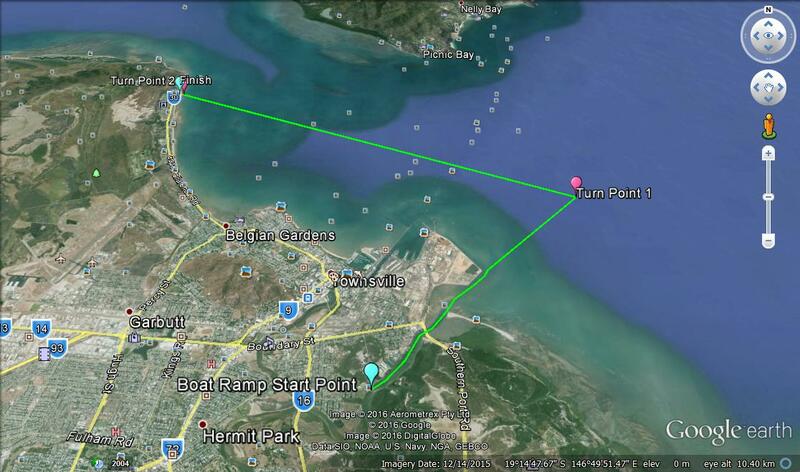 The Short course starts at Walter Nesbitt Park Pallarenda- competitors will paddle 1km out to the buoy and back. SUP (4km) and Junior competitors will complete half the short course distance (2km).